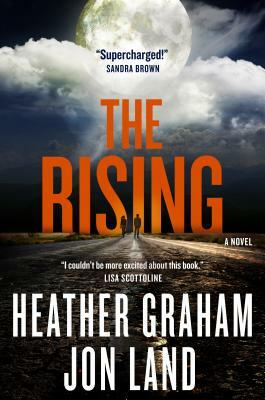 HEATHER GRAHAM is a New York Times and USA Today bestselling author. She majored in theater arts at the University of South Florida. Her first book was with Dell, and since then, she has written over one hundred novels and novellas including suspense, historical romance, vampire fiction, time travel, occult and Christmas family fare. Her titles include Phantom Evil, Ghost Walk, and Heart of Evil. She has been honored with awards from Walden Books, B. Dalton, Georgia Romance Writers, Affaire de Coeur, RT Book Reviews, and more. JON LAND is the USA Today bestselling author of more than 37 novels, including Strong Enough to Die, Strong Justice, Strong at the Break, Strong Vengeance, Strong Rain Falling (winner of the 2014 International Book Award and 2013 USA Best Book Award for Mystery-Suspense), and Strong Darkness (winner of the 2014 USA Books Best Book Award and the 2015 International Book Award for Thriller). He's a 1979 graduate of Brown University, lives in Providence, Rhode Island.